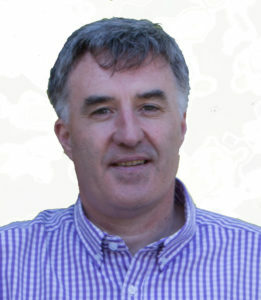 Diarmaid Condon is Ireland’s foremost independent overseas property consultant. He has been involved in the industry since 1995. From 2000 Diarmaid has been a prominent journalist writing initially for both the Sunday Business Post and Irish Examiner up to 2010. Since that time he has been writing for the Irish Times and in 2019 started writing for Ireland’s Sunday Independent. He also submits frequent articles in a selection of other newspapers and magazines both nationally and internationally. Newspapers ceased reporting on overseas property completely at the end of the decade, with coverage beginning tentatively again in 2015. In 2016 Diarmaid re-started overseas property coverage in the Irish Times. Media coverage of overseas property related issues is now fairly hit and miss, but you’ll find plenty of information on this website. In fact, it’s one of the few places you’ll find independent information on overseas property related matters these days. Diarmaid has been an activist for regulation in overseas property circles since he started in the industry in 1995. He served as Irish representative of the UK based Federation of Overseas Property Developers Agents & Consultants (FOPDAC) for a number of years until the organisation was subsumed by the National Association of Estate Agents (NAEA). Diarmaid can be contacted via email at info@diarmaidcondon.com. Note: This website and all its content is copyrighted and owned by a US based company.